(Seychelles News Agency) - The Seychelles men’s national under-23 football team will face Sudan in a qualifying match of the Africa Cup of Nations (AFCON) on home ground on Wednesday. “We only had three training sessions without any test match so it won’t be easy to play a match at this level. For this kind of competition, you need to be well prepared. I am sure Sudan is well prepared for the match,” said Nolin. “Even in terms of players, if we had enough time we could have recruited other players and built up the team’s ability to face Sudan,” said Nolin. 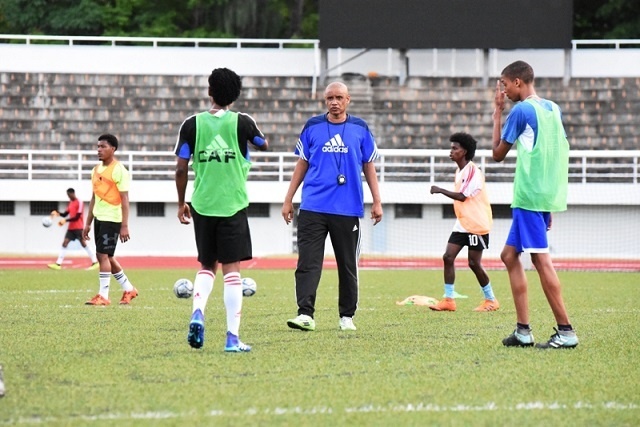 The Secretary-General of the Seychelles Football Federation, George Bibi, told SNA that the short notice is because there was no plan to compete in this age group but since it’s a qualification for the Olympic Games it gives the young players an opportunity. “One of the problems we have is that we don’t have the list of players in Seychelles and their ages so that we can identify players early. This is what other countries have so it’s easier for them to make a selection at whatever ages,” said Nolin.